Films have always inspired my writing. As a child learning to read ever-longer books, I gravitated toward the novelizations of my favorite movies. In my formative years as a writer for teens, I drew ideas and images from ABC Afterschool Specials, which I rushed home from school and work to watch. One of my earliest thrills was having my first novel manuscript for teens optioned in the early 1980s for one of those Afterschool Specials and getting to read the treatment — even though it was never produced and the manuscript never sold to a publisher. My taste in film is pretty broad, from commercial hits like Star Trek, Harry Potter, and Black Panther to indie films from the U.S. and around the world. I’ve noticed in the past years — and some of my reviews on this website have reflected this — that the supremacy of Hollywood in terms of storytelling and production is no more, and a wide range of international cinema has superseded the fare made here. Too many Hollywood productions are safe bets that break no new ground, with cliched characters, predictable story lines, and pat endings. For instance, is there any U.S. film that explores trans identity with the depth of last year’s Oscar winner in the Foreign Language Film category, Chilean director Sebastián Lelio’s A Fantastic Woman? This year’s Oscar nominees in the Foreign Language Film category crowd the top of my list for best films of the year overall. Yes, Mexican director Alfonso Cuarón’s homage to his childhood in Roma has also received nominations for Best Picture, Best Actress in a Leading Role (the first such nomination for an indigenous Mexican woman, Yalitza Aparicio), Best Actress in a Supporting Role, Best Director, Original Screenplay, Cinematography, Sound Mixing, and Sound Editing. In fact, three of the five nominees for Cinematography are foreign films — along with Roma are the Polish film Cold War and the German film Never Look Away. 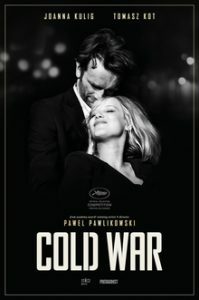 And Pawel Pawlikowski of Cold War joins Cuarón as a nominee in the Best Director category. In a way, it’s unfortunate that Roma is such a favorite, because the other four nominees (Cold War, Never Look Away, the Lebanese film Capernaum, and the Japanese film Shoplifters) are such strong contenders for awards in every category. In fact, Capernaum, the story of a 12-year-old runaway in Beirut who becomes the caretaker of an Ethiopian refugee infant while his mother works at a hotel, remains thoroughly underappreciated for its compelling story, strong acting (including the young teenager who plays Zain and Elias Khoury, a prominent Lebanese jurist and writer who plays the judge in Zain’s lawsuit against his parents), cinematography, and musical score. One other thing that these foreign films do well is present stories from the points of view of children and teenagers, with perspectives that respect young people and the complexity of their lives rather than exploiting them for entertainment (and anyone who’s seen the teen hijinks genre knows exactly what I mean). 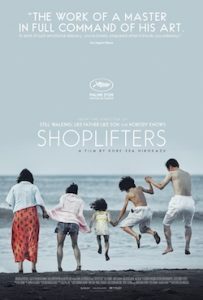 In this way, both Capernaum and Shoplifters stand out. They’re like literary fiction with young characters, with storytelling that isn’t self-absorbed but rather engaged with the world around the young protagonists and their deeply flawed families. 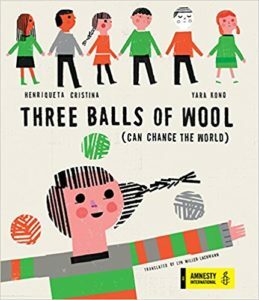 Just as translated literature from outside the U.S. deserves a wider audience and greater critical appreciation, so do these films that portray childhood and youth around the world. 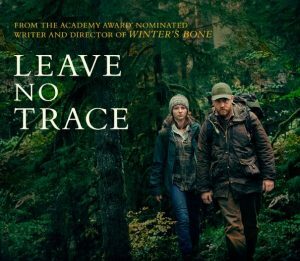 My husband and I feel that only one U.S.-made film came even close to doing this, the vastly underappreciated Leave No Trace, about a teenage girl living with her survivalist father, a veteran of the wars in Iraq and Afghanistan, as they both resist the efforts of Family Services to separate them. While the film adaptation of best-selling YA novel The Hate U Give and the charming original screenplay Eighth Grade were successful and satisfying productions, the current focus in YA publishing on books that can be turned into movies has not led to many quality productions so far. Maybe both publishers and filmmakers need to get out into the world more, to see how the U.S. is lagging behind other countries, as much in literature and film as in health care, economic opportunity, women’s rights, education, green energy development and a whole lot of other areas. Each year I look forward to the foreign language film award nominations, because they introduce me to great movies. I have enjoyed many of the foreign language film nominees in the past. I’ll never forget the first time I saw DEPARTURES, which won the Oscar ten years ago. So excellent! This year, even the runners-up are special! And I’m glad to see some of them, like Cold War, making their way beyond the NYC art houses into other cities and the suburbs. Linda, you are right. Departures is a great film.